We supply noodles and pool toys. We require non-swimmers to bring and wear life jackets. Parents will have access to party room 30 minutes in advance of scheduled party time. Party cost is $425 for 2 hours total in our facility for up to 15 swimmer-guests. ($15 for each additional child with a maximum of 20 swimmer-guests). The Birthday child and their siblings are complimentary and not included in the count for pricing purposes. A $125 Deposit will be required at the time of booking. Booking deposit will be applied towards the final payment which is due the week of the party. Parties are available on Saturdays and Sundays at our Lakeside-Roxbury and Sparta Njswim locations. No outside pool floats, toys, or beach balls are permitted. Njswim provides balls and noodles for the children to use during the parties. Swimmers under 2 years old must be accompanied by an adult. Swimmers who are not potty trained must wear a swim diaper. All guests are expected to adhere to facility/pool rules and behave responsibly at all times. 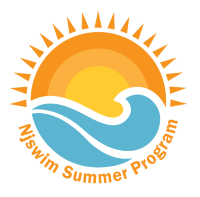 Njswim Party Hosts/Lifeguards will issue a single warning for unruly conduct or unsafe behaviors prior to asking guests to leave the premises. All non-swimmers are required to bring and wear life jackets. This Birthday Party Contract’s final price is based on the number of Swimmer guests who attend the party. If the number exceeds the amount indicated on the first page of the contract, additional per guest fees will apply. Parents/Party Hosts will have access to the party room 30 minutes before start time. All party attendees and hosts must leave the reserved area no later than 30 minutes after party's scheduled end time. No decorations may be “pinned” or nailed to any surface. No flames aside from candles on birthday cakes No glitter or confetti. 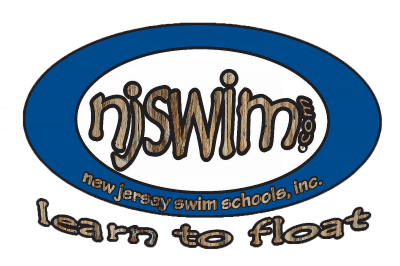 As the legal parent/guardian, I release and hold harmless New Jersey Swim Schools. Inc., its owners, and operators from any and all liability, claims, demands, and causes of action whatsoever, arising out of or related to any loss, damage, or injury that may be sustained by the participant and/or the undersigned, while in or upon the premises or any premises under the control and supervision of New Jersey Swim Schools, Inc., its owners and operators or in route to or from any of said premises. Each party guest must have an Njswim waiver signed ONLY by their legal guardian. All waivers must be completed the day of the party. Should Njswim Sparta property be lost or damaged due to the activities of any of your party attendees, you agree to reimburse Njswim Sparta for replacement or repair of said property.